1858. Nos. 121 to 125 were probably numbered earlier as Nos. 82, 80, 78 in that order. 1858. MCC BR: George Clayton, of No. 76 (probably old number) George Street, for self 3 houses. The builder Clayton lived behind terraces, at old No. 76. 1860. MCC BR: George Clayton for self, 3 kitchens. 1860. 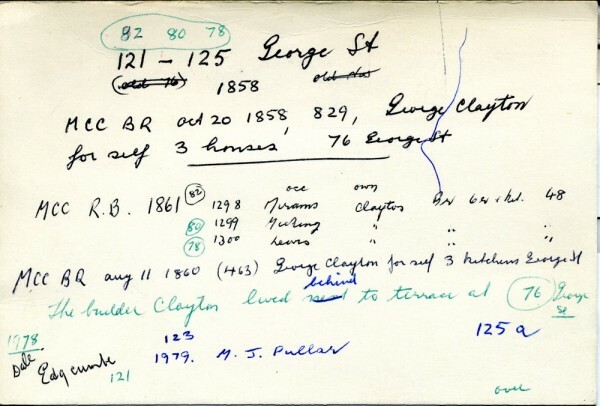 Earliest resident at No.121 appears to have been Rev. James Mirams. 1861. MCC BR: Three houses owned by Clayton. Occupiers: Old No.78 (now 125) Lewis. Old No.80 (now 123) Micking?? Old No.82 (now 121) Mirams. 1867. 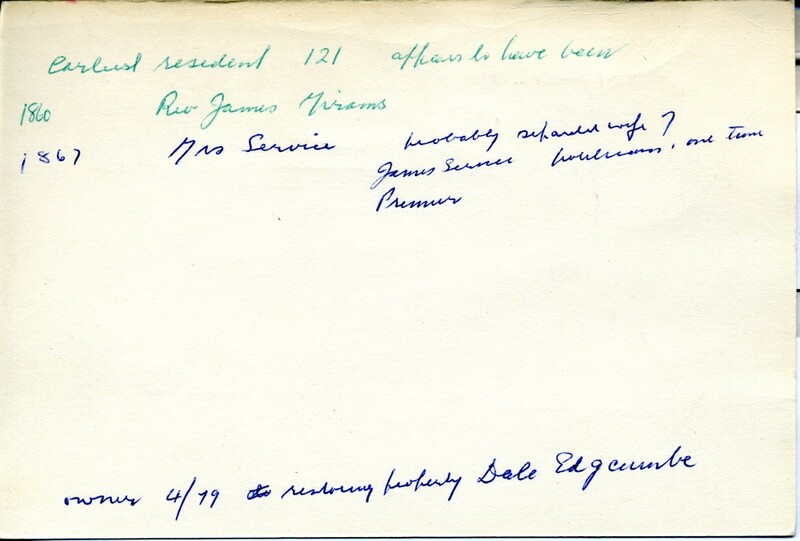 Name mentioned: Mrs. Service, probably separated wife of James Service, politician, one-term Premier. 1979. Names mentioned: M.J. Pullar. Dale Edgcumbe, owner restoring property.